Financial technology is growing in Viet Nam, as it is in other parts of the world. The gap in the market for fintech development has been propelled by the increase of internet and cellular device users. 62% of the population in Viet Nam are now using the internet. MBI, supported by the Government of Australia and the Asian Development Bank (ADB), is now working to cultivate and accelerate the fintech startup ecosystem in the country with the launch of a new innovation challenge. The Mekong Business Initiative (MBI) and the State Bank of Viet Nam jointly launched the Fintech Challenge Vietnam on Tuesday 28th November in Ha Noi. The event outlined the mission and goals of the challenge, emphasized the importance of financial technology, and included a Q&A interaction with the audience. Senior Country Economist at ADB and Head of MBI Dominic Mellor invited members of the Asian Development Bank (ADB), Vietnam Resident Mission, SBV Fintech steering committee, FPT, Fintech Club VISSA, Vietnam Banks Association, Vietnam Silicon Valley, and ambassadors from the Australian, Swiss, Canadian and Netherlands embassies to participate in the Fintech Challenge workshop conference. Several commercial banks also attended, including Vietcombank, BIDV, VIB, Shinhan Bank Vietnam, Vietinbank, VPBank and TPBank. The Fintech Challenge Vietnam aims to provide new growth and investment opportunities to local Vietnamese entrepreneurs by promoting innovation challenges. It was highlighted that financial institutions find it difficult to access small businesses, while entrepreneurs have limited access to traditional financial services. The Fintech Challenge will help fill this gap by establishing and nourishing the market ecosystem in Viet Nam. 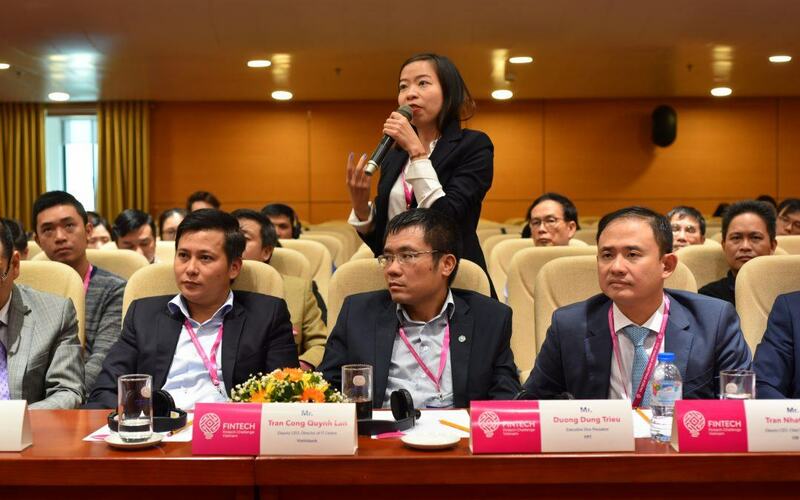 Representatives at MBI emphasized the importance of entrepreneurs working in collaboration with commercial banks to improve the financial banking situation in Viet Nam, as well as developing a more prosperous and integrated economy. MBI has worked closely with the SBV Fintech Steering Committee to create programs to support, promote, and sustain financial inclusion. The Fintech Challenge Vietnam invites entrepreneurs with a developed business plan to apply to the program and prepare their pitch deck. In return, the finalist entrepreneurs receive mentorship, networking, and partnership from and with potential investors. Other prizes and benefits include cash prizes to the top three teams, mentorship providing industry specific insight, pitch sessions where up to 15 teams will be invited to Ha Noi to pitch at the Demo Day 2018, and Real Demand, which allows access to a real customer base to test pilot solutions.